Can Americans of all colors free themselves from the official racism that is dividing them and dragging the country down? It’s possible. But to do so we must reach back to our dimly remembered past, to a time when patriots won their freedom (and ours) – not by litigating, but by kicking over the bar of oppression and running free. Modern patriots can learn from our founders’ actions, and apply that lesson to the tyranny of racial identification. Today, all Americans – including our legislatures – are in thrall to the courts to a greater degree than colonists were to British law. Even our elected president seems to believe that a Circuit Court judge can actually tell him how he can (or must) govern. So conditioned are we to magistrate-rule that we can hardly imagine that our forebears gained their freedom by going around the courts, not to them. Some Americans still think the courts can save us. 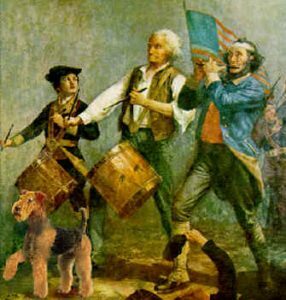 Those patriots of yore knew better. Even colonial farmers and shopkeepers unschooled in the law could see that courts would not help them. Only bold action could carry their dispute with the British Crown onto ground where a ragtag gaggle of quarrelsome, disunited states could possibly prevail. Had we tried to work through the courts, we should all still be bowing and God-saving the queen. 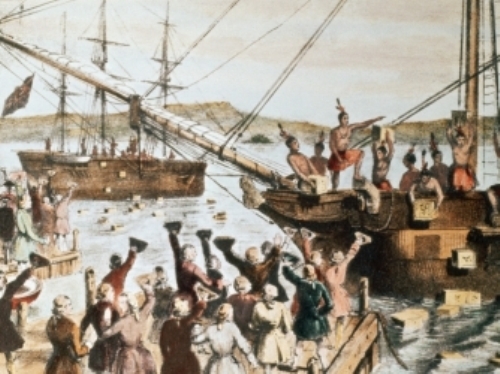 British authorities reacted to the “Boston Tea Party” by closing the port of Boston and establishing military rule, making British officials non-prosecutable in colonial courts, and quartering British soldiers in American homes. This brought support for Boston from Virginia and other colonies – uniting them to a degree that no mere legal action could have done. 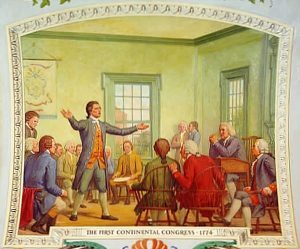 Committees of Correspondence grew out of that united response, leading to meetings of the First Continental Congress in Philadelphia, PA, during September and October 1774. Albert Einstein said a problem cannot be solved by the same process that produced it. 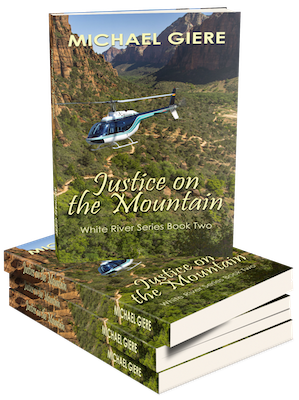 Just so, legal proceedings cannot rid us of official racism, since the courts created it. Some members of our highest court seem to think the Constitution is just a “scrap of paper” that can be trumped by the Justices’ own views. This means that our 21st century Tea Party, like the original, will have to be an action completely “outside the box.” The plan is radical, but very simple. This collective “civil disobedience” – in the finest tradition of Dr. M L. King – will cause some tension between applicants and admissions officers at first, but it can easily be weathered. Because we have no Bureau of Racial Ancestry in our upside-down Jim Crow world, there is no reliable way to verify or disprove a racial-ancestry claim. 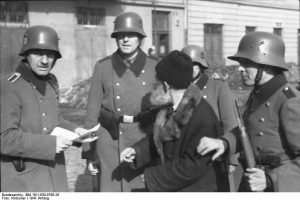 Even committed Diversitistas might shrink from asking that classic Third Reich question: Who were your people? So after some red-faced desk-pounding, all applicants will gain favored-minority status. Admissions officials and hiring managers will have no choice but to accept applicants’ racial claims, as made – thus essentially eliminating diversity as an admissions discriminator. Ironically, certain notoriety-seeking men have already modeled this strategy by posing as transgendered “women,” so they could win races in female track and field events. We won’t have to go that far, but the way forward is clear. Educators, government officials, and private business managers who try to make their own visually determined “racial designations” will generate protests and lawsuits from aggrieved applicants claiming that their “minority rights” have been overlooked. Rejects will demand disclosure of admissions and hiring records to ascertain how applicants were selected or rejected. They will organize, march and demonstrate. (Perhaps even occupy administrative offices, hold teach-ins, and sing “We Shall Overcome.”) Alumni and patrons might reconsider donations to institutions involved. The media – sensing a cracking good scrap – will join the fun. Officials will man the lifeboats as the tea goes overboard. These actions can eventually become part of a coordinated effort, just as the Boston Tea Party led to coordination and eventually to revolution. Committees of Correspondence, alliances and associations will be formed. Soldiers for the long march will step forward. Generals and captains will emerge. Strategies will be planned. And gradually, as the revolution forms, the whole nation will come to see that their future as a free people hinges upon their willingness to throw off a legal tyranny that contravenes the Constitution. This will be a struggle for the Soul of the Nation – the final Chapter of Dr. King’s work. Racism and all of its deformed offspring must be faced-down and defeated. Failing, we shall remain forever harassed and bound by this perverse and destructive snare. Every time someone is denied an opportunity because of race, the country loses. From Common Sense by Thomas Paine, 1776.